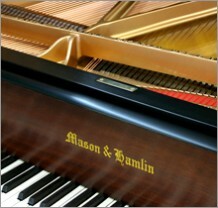 New Mexico residents can now access our Classic Collection of restored vintage pianos on the Web. 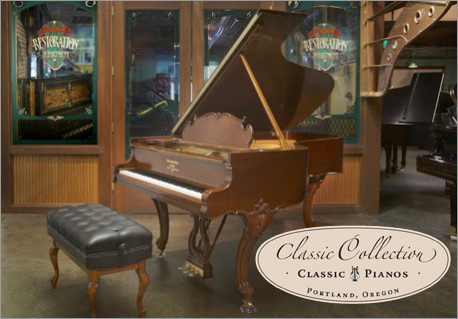 Our Classic Collection is the crown jewel of the historic “Brooklyn Neighborhood” restoration shop of Classic Pianos of Portland, Oregon. 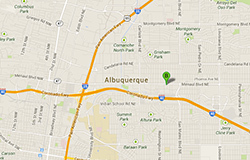 The advantage to New Mexico customers is that our Albuquerque store does not have to double costs by adding our own restoration shop. 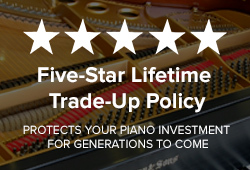 Our prices can remain attractive on Heirloom-quality pianos that other dealers, with higher overhead, would sell at much higher cost. 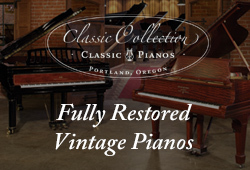 In partnership with Classic Pianos, we can help guide you through our Web Galleries to see if a particular vintage restoration appeals to you. 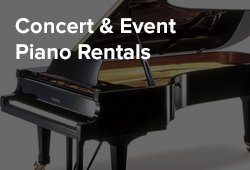 Our Albuquerque store has up-to-the minute information on Classic Collection inventory ― often long before pianos can be posted on the Web. 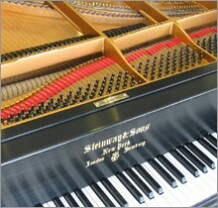 We also know what pianos are in progress for restoration, and what might be available in the future.